On November 6, 2015, in the civil case of Eastern Associated Coal Corporation v. Director, Office of Workers’ Compensation Programs, the Fourth Circuit issued a published opinion affirming the Benefits Review Board’s (the “BRB”) decision to award black lung benefits to Arvis R. Toler. In granting Toler’s 2008 claim for benefits, an administrative law judge (“ALJ”) invoked the rebuttable presumption that a coal miner with a fifteen-year work history of underground coal mining and a totally disabling pulmonary impairment is disabled due to pneumoconiosis. Eastern Associated Coal Corporation (“Eastern”) argued that the ALJ contravened the Black Lung Benefits Act, 30 U.S.C. §§ 901–945 (“BLBA”), as well as the principles of finality and separation of powers. The Fourth Circuit found these arguments unpersuasive. 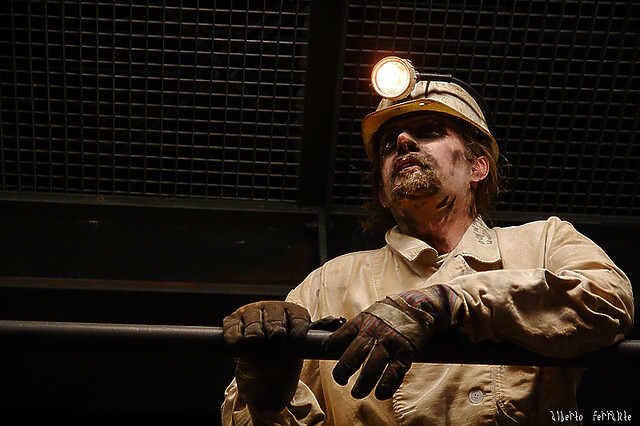 In order for a miner to avail itself of black lung benefits, he must prove four conditions: (1) he has pneumoconiosis; (2) his pneumoconiosis arose out of coal mine employment; (3) he is totally disabled; and (4) pneumoconiosis contributes to his total disability. BLBA provides for a rebuttable presumption of total disability due to pneumoconiosis to a cola miner who had worked underground for at least fifteen years and was suffering from totally disabling pulmonary impairment. The presumption can be rebutted if the defendant establishes either that the miner does not or did not have pneumoconiosis or that his respiratory or pulmonary impairment did not arise out of his employment in a coal mine. The fifteen-year presumption is further codified in Section 1556(c) of the Affordable Care Act. When a coal miner seeks a subsequent black lung benefits claim after being previously denied, he must show a material change in the conditions. BRB decisions do not bar subsequent claims because of res judicata because the health of human being changes over one’s lifetime. Instead, the coal miner must prove a change of at least one of the four conditions of black lung benefits using evidence after the prior denial. Toler worked in Eastern’s coal mines for twenty-seven years, sixteen of which were underground. Between 1966 and 1997, he smoked a pack of cigarettes a day. He began to experience shortness of breath in the mid-1980s and in 1993, his failing health caused him to quit is job as a coal miner. Just before he quit, he filed his first claim for black lung benefits. The ALJ found that he was totally disabled by pulmonary disease but failed to show it was his work in the coal mines, not his smoking, that caused his pulmonary disease. Therefore, the ALJ denied his claim for benefits, which the BRB affirmed. Despite quitting the mines and smoking, Toler’s pulmonary disease worsened, requiring him to use supplemental oxygen. Toler filed a second claim for black lung benefits in 2008. Toler had a complete pulmonary evaluation where a doctor identified smoking and occupational exposure to coal dust as the causes of his condition. The ALJ granted Toler’s second claim for benefits, applying the rebuttable fifteen-year presumption. Eastern failed to rebut the presumption by proving that Toler did not suffer from pneumoconiosis or that his condition did not arise out of Toler’s coal mine employment. Eastern appealed to the BRB, which promptly remanded to allow Eastern to submit new evidence. The ALJ again granted Toler’s claim for black lung benefits. Eastern again appealed to the BRB, where the BRB affirmed the ALJ’s decision because black lung benefits claims do not follow the same principles of res judicata, but the change in conditions framework. Further, because granting the second claim did not disturb the first claim, there was no separation of powers issue. Eastern then appealed to the Fourth Circuit. When reviewing an ALJ decision that has been affirmed by the BRB, the Fourth Circuit reviews de novo the BRB’s conclusions of law but confines the review to the grounds upon which the BRB based its decision. The question is whether the decision is in accordance with the law and supported by substantial evidence. Eastern argued that (1) the ALJ reopened a final judgment of an Article III court and thus contravened separation of powers and (2) the ALJ improperly used the fifteen-year presumption to establish that one of the applicable conditions had changed since the denial of Toler’s first claim. The Fourth Circuit addressed the second contention first. It rejected Eastern’s argument that using the fifteen-year presumption contravenes the BLBA. The BLBA plainly shows that a coal miner can invoke the fifteen-year presumption to establish a change in an applicable condition if he has new evidence. All a coal miner has to do is prove at least one of the elements previously adjudicated against him by using evidence of his condition after the previous denial. Eastern attempted to argue that pneumoconiosis cannot be latent and progressive. The Secretary of Labor previously found that pneumoconiosis can be, and the Fourth Circuit declined to substitute its judgment for the Secretary’s. The Fourth Circuit went on to reject Eastern’s other arguments, including that Toler’s second claim was the same claim as the first, that Toler failed to submit new evidence. The Court thus concluded that Eastern’s statutory argument failed and that the ALJ and BRB correctly applied the law. Addressing the first contention, that the decision contravened separation of powers, the Fourth Circuit rejected the proposition that deciding the second claim allowed Toler to relitigate a final judgment. The ALJ’s award of benefits did not reopen anything, much less a final judgment of an Article III court. The ALJ assessed Toler’s current pulmonary impairment, which was not the same as the impairment in the first judgment. Therefore, the Fourth Circuit rejected Eastern’s first contention. Because Eastern failed to rebut the fifteen-year presumption, the Fourth Circuit denied its petition for review.